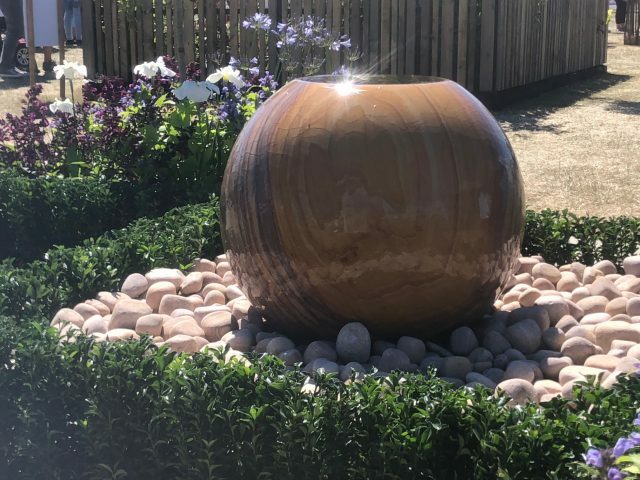 The stand out water feature from Foras, the Bliss Rainbow Sandstone Water feature is the perfect addition to any garden. 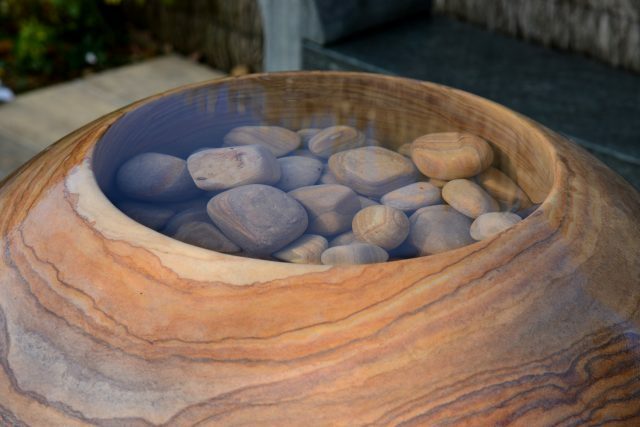 Elegantly cascading water created by the infinity hole in the top of each bowl, this feature can be installed in any space and create a stunning centre piece and talking point in your garden. 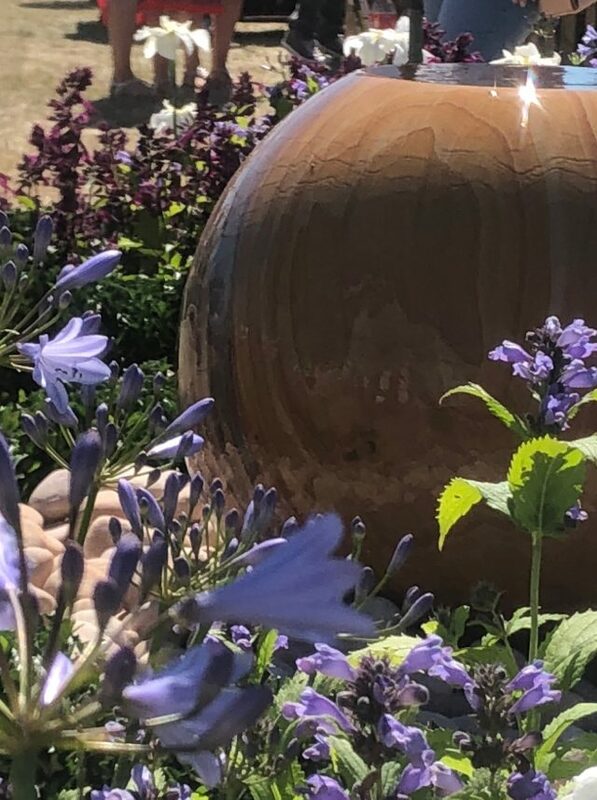 Every water feature has unique markings making yours truly one of a kind. 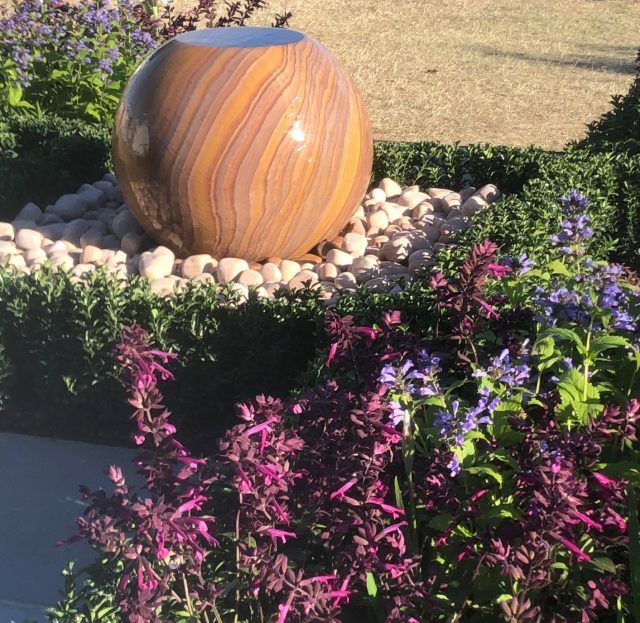 Our rainbow sandstone pebbles complement the tones of the ball, the perfect accompaniment to those summer parties in the garden. 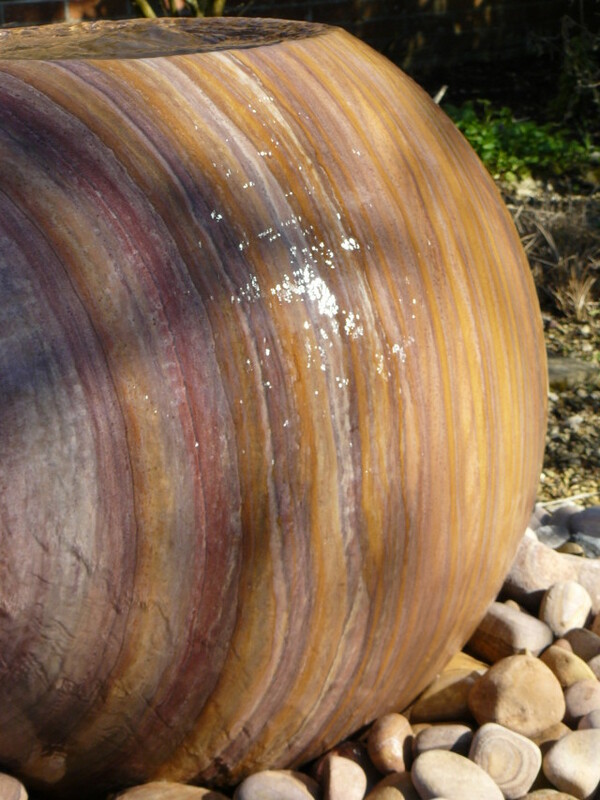 All of our water features are frost and weather resistant and are easy to install and maintain. We’ll supply everything you to need set the feature up, please find the kit lists below. 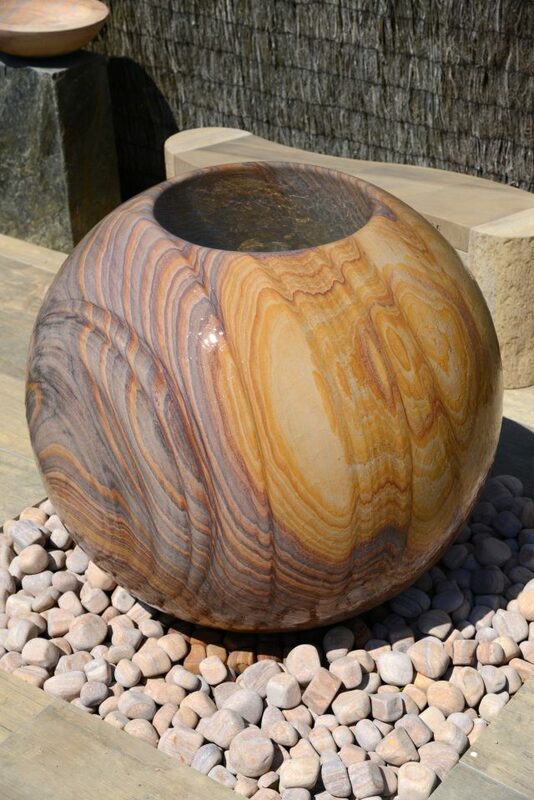 Please Note: Natural stone is a product of nature and as such no two are the same. There will be variations in colour, pattern and texture. 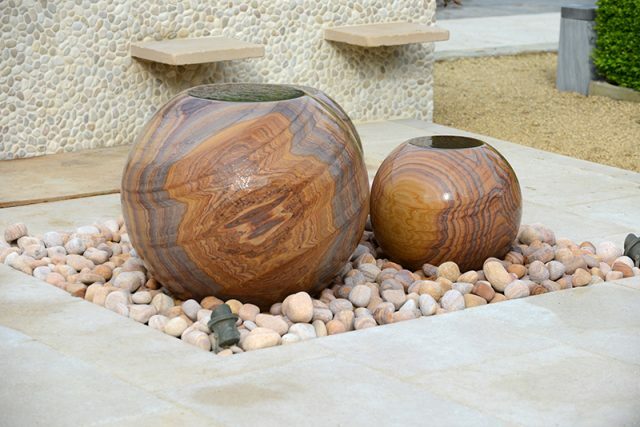 These differences are part of an Artisan stone, full of ripples and character. Free delivery – products are dispatched via Royal Mail, Courier or 3rd party Pallet Network and will usually be delivered between 7-10 working days. 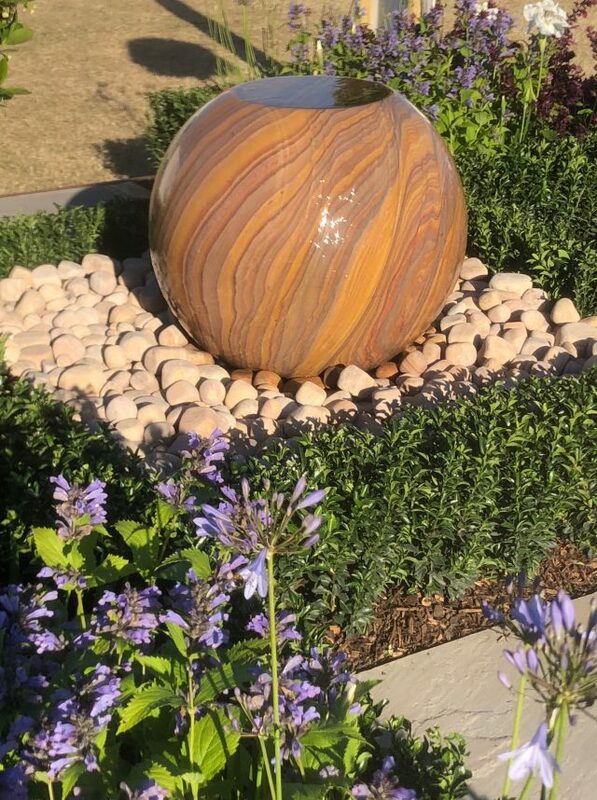 Created a stunning addition to our garden, 75cm ball, the advice and help with the construction details were first class.Looking forward to building my next one. 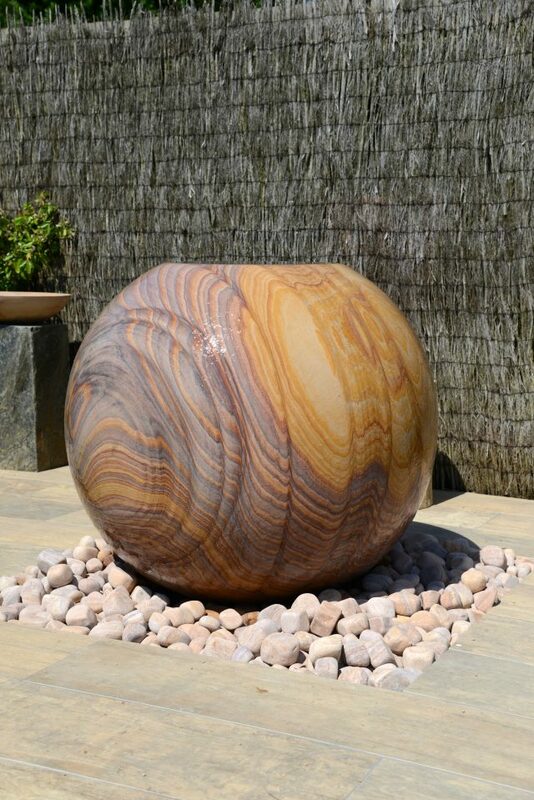 I purchased above with matching ring of rainbow setts and paviors. 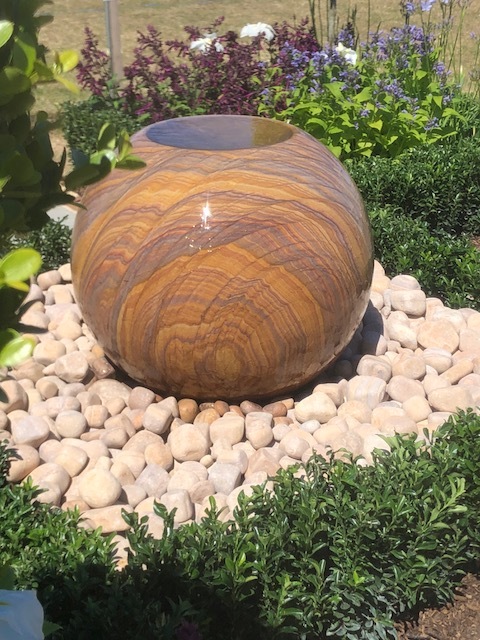 Has created a stunning centrepiece. Visitors love the infinity shower effect of the water and constantly run their hands over wet stone. Sound of the running water and uplighting at night both add to impact of feature. Highly recommend and Foras great to deal with.